Following the shocking death of BMX legend Dave Mirra, the action sports community is looking for answers, including whether or not CTE had anything to do with the events that led to Mirra's passing. As humans, we’re bound to a simple truth we’ll never be able to escape: that one day we're all going to meet our fate. But there’s something inexplicably heart-wrenching when people pass at such a young age, especially in difficult-to-explain circumstances, like suicide. And when icons kill themselves who were well-entrenched in the public eye, it only amplifies the tragic nature of those circumstances. 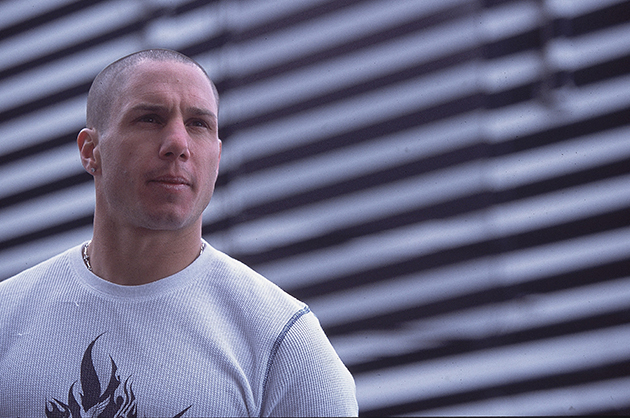 Such is the case with legendary BMX rider Dave Mirra, who just yesterday was found dead in his truck in Greenville, N.C., the victim of a self-inflicted gunshot wound. Mirra changed the face of action sports with his riding as it transcended his own sport, winning 24 X Games medals, 14 of which were gold. His career started at 13 years old when he was discovered by Haro Bikes in Chittenango, N.Y. Signing Mirra was a brilliant move by the bike manufacturer as he had an uncommon blend of skills in the BMX realm: he excelled in flatland riding, park, dirt—he could do it all, an unheard of talent in that realm. One issue that came up in the BMX community immediately following the incident with Mirra—especially with the very public suicides of NFL icons like Dave Duerson and Junior Seau—is the effects of Chronic Traumatic Encephalopathy (CTE) from multiple blows to the head. While there is no evidence Mirra suffered from this condition at this early stage, he comes from a generation that didn’t always protect themselves properly and the 41-year-old had several serious accidents that caused intense head trauma, not the least of which was in 1993, when he was hit by a drunk driver while walking in Syracuse, fracturing his skull and causing a blot clot in his brain. Then in 2006, during practice runs at the X Games he crashed in the park, “basically falling 16-feet onto his head,” he told Men’s Fitness. While the bulk of his injuries in that crash were internal—he lacerated his liver—it had to have some impact on his head. And quantifying the trauma to Mirra’s brain over the years is difficult. Regardless, Mirra leaves behind an indelible mark on the lives of so many action sports stars and a legacy that reaches well beyond the world of BMX. Along with the likes of Tony Hawk, Bob Burnquist, Mat Hoffman and Shaun White, Mirra helped build the X Games franchise, which mourned his death along with the rest of the world. Mirra—whose 24 X Games medals are second only to Burnquist— continued to push himself after his BMX career, committing to sports like rally car racing and triathlons. In short, persona’s like Mirra's are simply irreplaceable and now we're all left searching for answers.